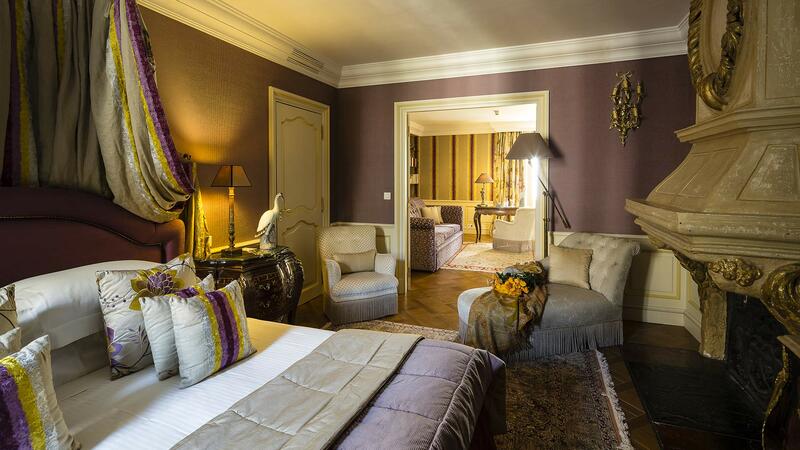 Le Saint Paul (member of Relais & Châteaux) has an exceptional geographic location. 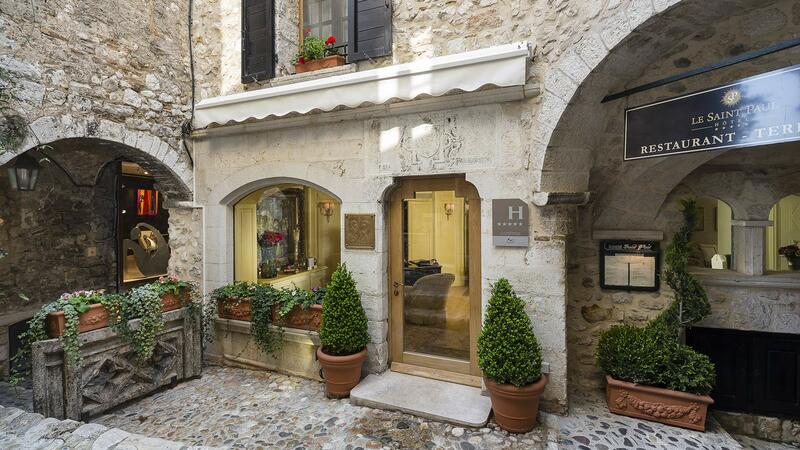 One of the best hotels in France is situated in the heart of Saint Paul de Venice, the legendary village of the Côte d'Azur frequented by leading artists. Just outside the doors of the hotel you can wander along the small village alleys with their succession of painting and sculpture galleries. 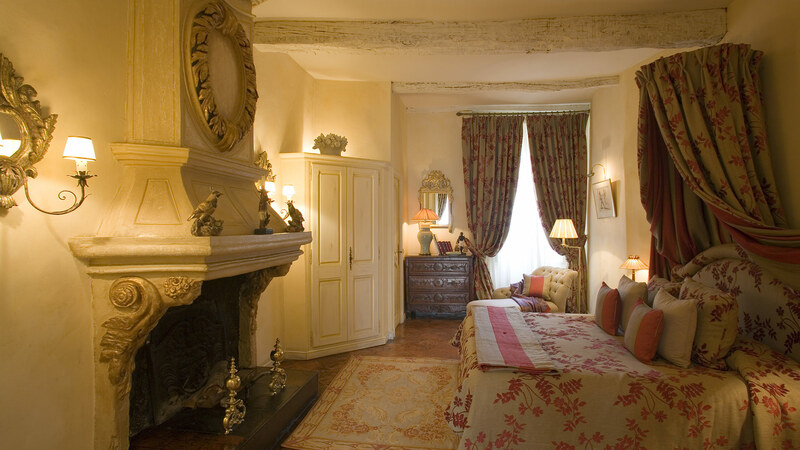 Taste the history of this charming place in France by indulging in the comforts of the Hotel Saint Paul, the only hotel within the town walls. 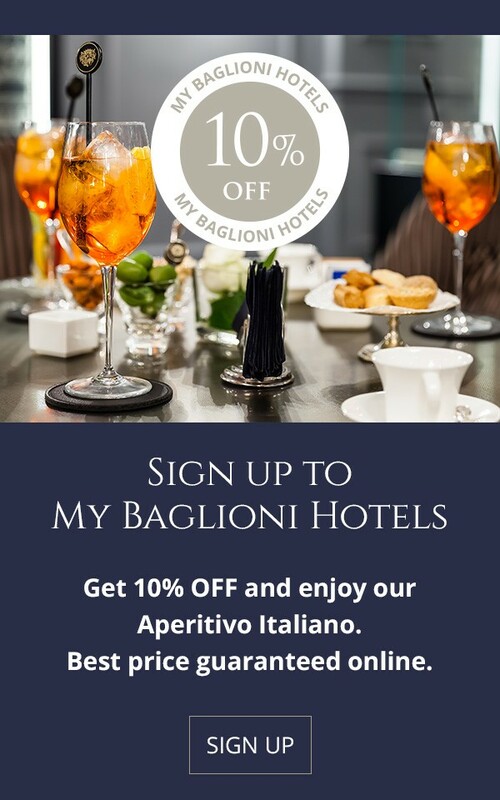 Enrich your stay in Venice enjoying the artistic and cultural attractions of the city located a few steps from the Baglioni Hotel Luna, which thanks to its privileged position at the entrance of Piazza San Marco, allows you to easily reach the most interesting places to visit. 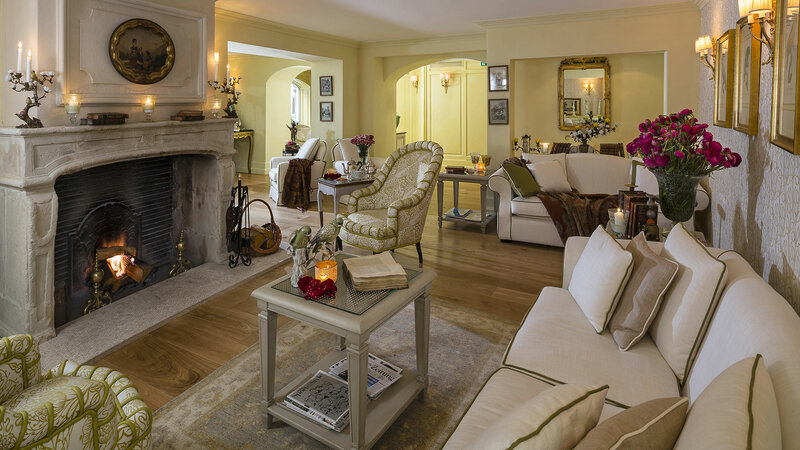 Travel back in time at the Baglioni Hotel in Saint Paul de Vence, one of the best hotels in France. In our rooms you will find well-designed interiors and selected artisan creations which constitute a romantic and intimate atmosphere. 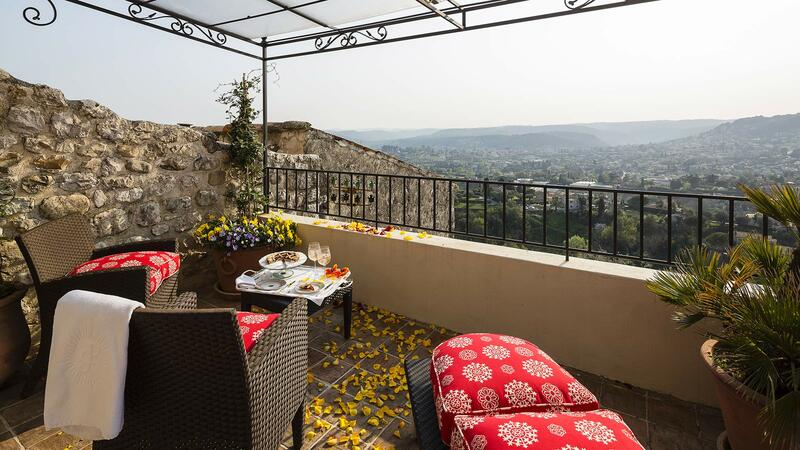 Our magnificent suites will delight you with their tastefully magical décor and their breathtaking views of the beautiful valley of Saint Paul and the remains of the city wall. Magnificent and spacious Suite, romantic and with a terrace that offers an enchanting 360 ° view, between the streets of the country, the valley and the hinterland of Saint Paul. 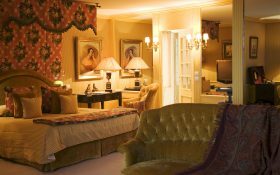 This Suite overlooks on one side the delightful medieval streets of Saint-Paul-de-Vence and on the other the beautiful valley. 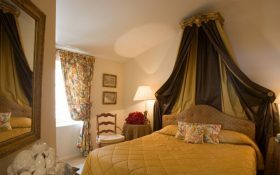 At the entrance of the room a large living room invites you to relax, while the bedroom, very romantic, has an exceptional view of the medieval walls of the village. The dining rooms are all air conditioned, one is vaulted and has mural frescoes of flowers and fruit, the other is embellished with a fountain. 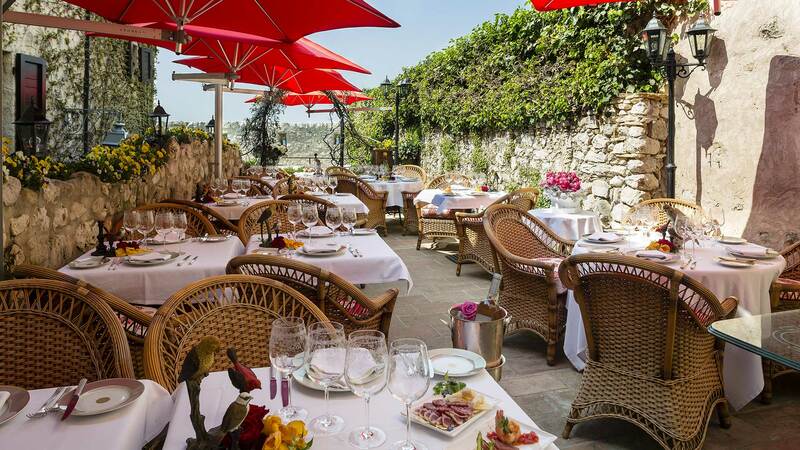 And of course, there is a flowered terrace, ideal for enjoying the tasty cuisine of the Provence. The Chef proposes a delicious and contemporary cuisine, in which the seasons dominate the menu. A world unique experiences and precious moments to enjoy with your family in and near our hotels.